About a year ago I decided it was time to reign in our grocery spending, clean up my diet, and stop relying so heavily on packaged convenience foods. 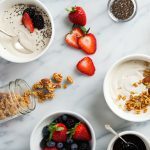 This included things like pre-made veggie burgers, granola, non-dairy yogurts, creamer, and jam (basically, a lot of everyday staples with sneaky ingredients like “natural” flavors that I would never add to my food if I were making it myself). 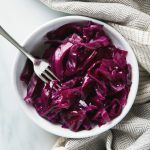 I took an inventory of the convenience foods on our grocery list and came up with really simple recipes to replace them. 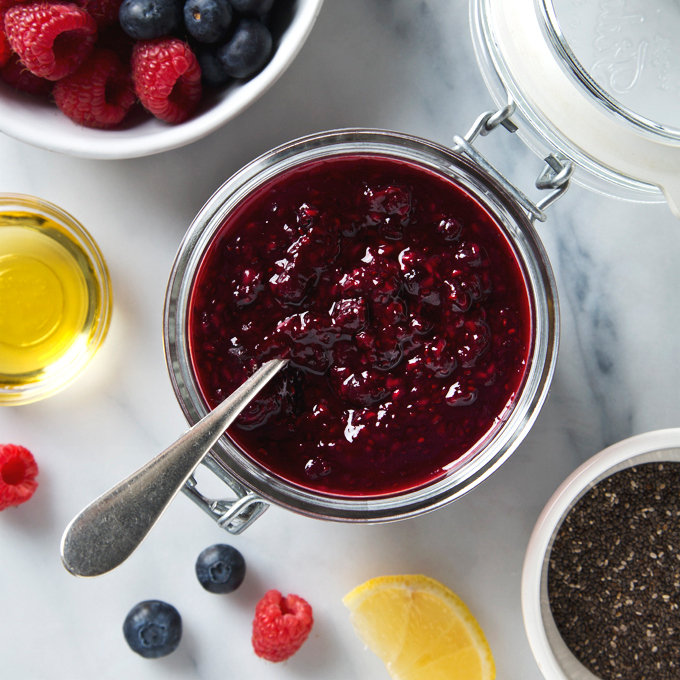 Today I’m sharing my go-to recipe for chia seed jam, and if you’re anything like me, you’re going to want to put this on everything. 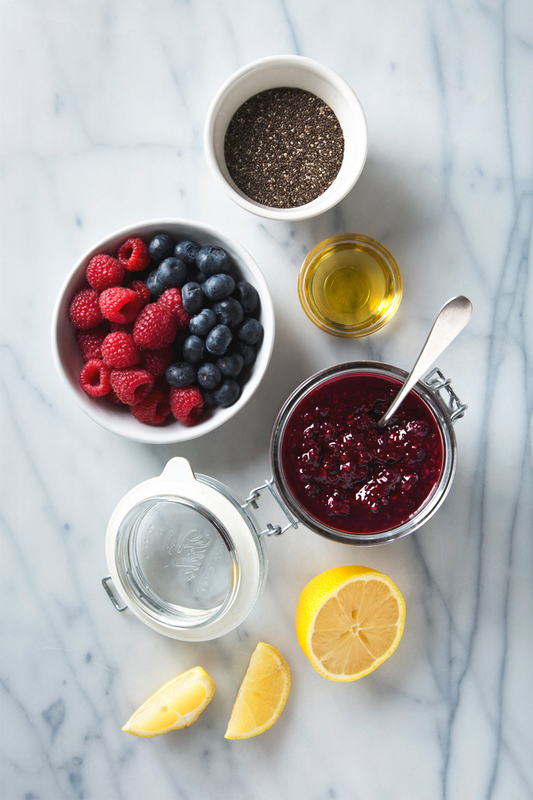 To make chia jam, all you need are 5 basic ingredients: frozen fruit, maple syrup (or agave, stevia, etc), chia seeds, lemon (juice + zest), and a tiny splash of vanilla. Defrost the fruit, simmer it with the maple syrup and chia seeds for 10 minutes, then stir in the lemon and vanilla. It will make your house smell amazing (definite pie filling vibes! ), you can use whichever fruit(s) you like, and you get to control the sugar. My favorite flavors are wild blueberry, cherry, and raspberry chia jams, and in summer I love to do a combination of strawberry and peach. 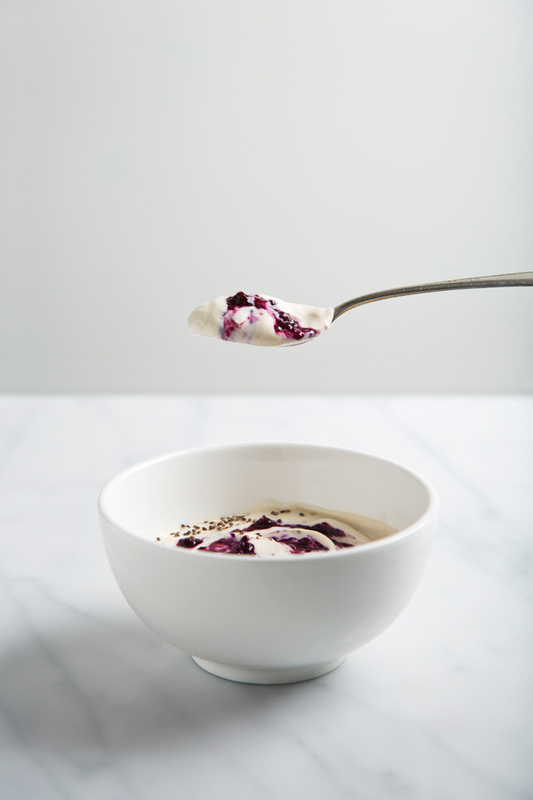 You can slather your chia jam on toast, mix it into cashew yogurt, or make one very killer pb & j sandwich. I also like to add it to oatmeal or as a sauce for banana soft-serve, and—full disclosure—sometimes I just eat it straight out of the jar. This chia seed jam recipe is low in sugar and so easy to make! All you need are a few simple ingredients. Add the defrosted fruit and maple syrup to a small saucepan. Cook over medium heat, stirring often, until the fruit begins to soften, about 5 minutes. Berries should break down on their own, but you can use a fork or a potato masher to mash firmer fruit like peach slices. Keep the texture a bit chunky, unless you'd prefer a smoother jam. Add the chia seeds to the saucepan and reduce the heat to medium-low, stirring constantly. Cook the jam for an additional 5 minutes, or until very thick. Turn off the heat and stir in the lemon zest, lemon juice, vanilla, and stevia (if using). Taste and adjust the sweetness, then transfer to a heat-resistant glass jar or airtight container and allow to cool completely. Slather the jam on toast, use it in a parfait, or make one killer pb & j. I also like to add it to oatmeal or as a sauce for banana soft-serve. Leftover jam should be kept in the refrigerator—it will last about a week. 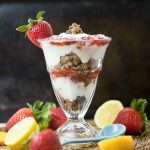 My go-to flavors are wild blueberry, cherry, and raspberry chia jams, and I also love strawberry peach in summer (I usually do 10 ounces of each fruit, for 20 ounces total). Depending on the natural sweetness of your fruit, you will need more/less sweetener. Love how easy this is! I will definitely have to try! Thanks for sharing! Thanks, Karly! It’s a very easy recipe (my favorite 🙂 ). I’ve been wanting to make chia jam for ages and I think I’m going to finally make some this weekend, thanks to your recipe. 🙂 I can’t decide if I should do cherry, raspberry or blackberry first. Maybe I’ll do all 3?! I made your chia seed jam today using strawberries and blueberries. It turned out fantastic and my son came home from school and gobbled up two slices of toast with almond butter and chia jam. We’re going to start making this a weekly habit. I love that it’s so low in sugar. Thanks! Stunning! 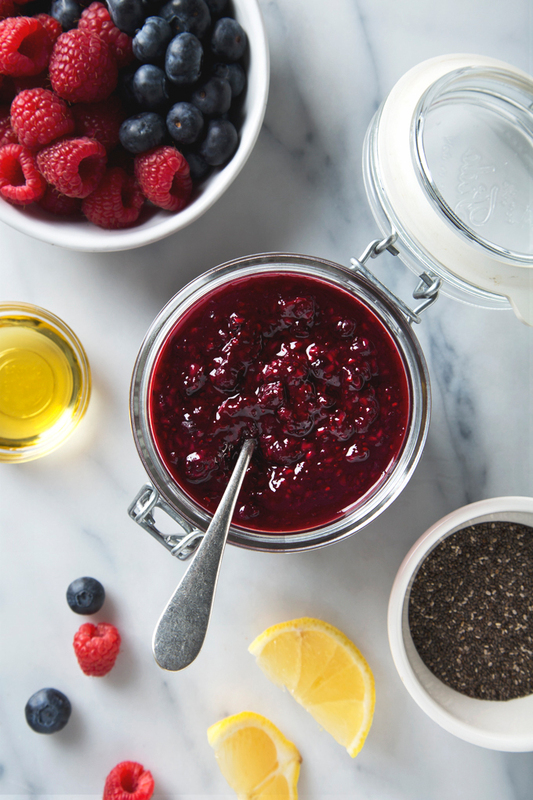 I could go for some peanut butter toast with this chia jam right now. Sounds good to me, Stef! This is a wonderful idea. Anything with chia is welcomed both by my son and me so this is our weekend project ! Thank you so much ! Thank you! 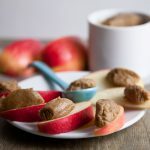 I’m so happy you and your son will be able to use this recipe for your weekend project!